Hi loves! How are you doing? Hope you are having a great weekend :-). 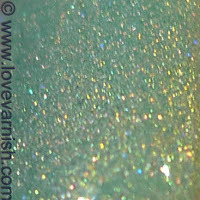 I am very proud to introduce to you today Bliss Polish. A while back I was contacted by Yvette, telling me she was in the process of mixing up her first indie polish collection and if I'd like to be one of the first swatchers. She also said that if I wouldn't she'd understand. HA! Passing up the chance of reviewing a start up indie? I love start up indies! Gives me the chance to help you guys discover new stuff that might be easier to get than the established creators, and well, I just really liked what she was creating. Earlier this week the package of 5 polishes arrived and looking at the bottles I already was quite happy. Square shaped, 13.2 ml. content, a pretty and well designed label.. this was looking good! The formula is 3 free and this specific collection is created to dry to a matte finish, because that way we can easily decide ourselves how we want to wear it. The brush is a nice round brush comparable to China Glaze's. I love these brushes and had nearly no clean up to do after painting these. Now, for the swatches! Except for Tiffany Who? I did not use any basecoat (takes an extra step in swatching and I wanted to be sure I'd finish them all in 1 night). The pictures with a shiny finish are 1 coat of Essence Better Than Gel Top Sealer. All polishes might look like the have some gritty bits to them, but they feel smooth and velvety and with topcoat they dry to a glass like finish. Bliss Polish Coral Crush. A coral shimmer with holo glitter flecks. I love how warm and pink toned this coral shade is. The ones leaning to the orange side don't always suit my skin tone. This is the only one in the collection I needed 3 coats of, but that might have been "getting used" to formula too. It applies nice and even, spreading well without being runny. What I like about these turning matte is that you can easily tell when the next coat can go on. The topcoat really brought out the lovely sparkle in this beauty! Bliss Polish Raspberry Punch. Dark pink shimmer with holo glitter flecks. For me personally, this one and Coral Crush are quite close in shade. I think I would have liked it if this was more magenta. Again, good application, only 2 coats needed. Bliss Polish Plum Crazy. Purple shimmer with holo glitter flecks. The base of this one is quite "dirty", like a very grey/purple taupe shade. After doing 1 coat I thought it wasn't going to be opaque in 2, but the second coat did wonders. I love how dark this one is and the topcoat makes it spectacular! Bliss Polish Kiss & Teal. 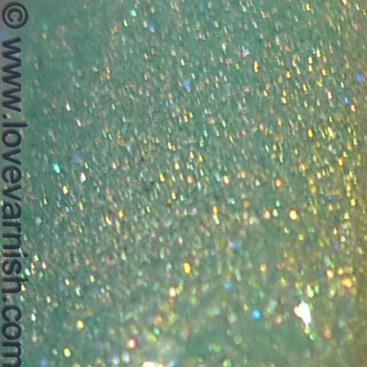 Teal shimmer with holo glitter flecks. This shade reminded me of a england Galahad, but obviously with a different finish. They aren't that close as I imagened though. By itself I wouldn't call this teal, until you compare it with a blue polish, it leans very green all of a sudden. It's a very "rich" color, full of pigment and the sparkle is gorgeous. 2 coats and great application. Bliss Polish Tiffany Who?. Tiffany blue inspired color with gold shimmer and holo glitter flecks. Okay, can we all just be silent for a minute and stare at this beauty? When it arived and I unwrapped this beauty from her cover, I immediately knew this was going to be the hit for me from this collection. On the nails, it did not dissappoint at all. Perfect application in 2 coats, a gorgeous golden shimmer running through it, gorgeous in both matte and shiny state.. I love it! I love every bit of it. It's just that it is a mint with gold and sparkle, that hits the sweet spot for me ;-). There they are! 5 beautiful new babies brought to you by Bliss Polish. Which one is your favorite? Tell me in the comments! Bliss Polish is found on Instagram, the store is online here. The price of a polish is $8, currently she doesn't offer international shipping. I am really loving the Bliss Polish Raspberry Punch shade! Thank you for sharing!! Fantastic! I'm sold :D I think Coral is my favorite, but Tiffany is a close 2nd! They are all gorgeous! Tiffany Who? Be still my heart! Wow! They are all lovely. I really like the purple, but Tiffany Who? definitely steals the show! You are welcome! If you love them don't hestitate to grab them, when they are gone they might not come back! They are all so lovely indeed! Ahh yes it is a stunner right? I love it SO much! They are all gorgeous bit Tiffany Who? and Plum Crazy looks simply amazing! Thanks Elin! Glad you like them :). While they're all gorgeous w/TC and I'm deeply in love with velvet finish on nail polishes, Coral Crush is the one I love the most on its own. Plum Crazy looks damn amazing with top coat, I could spend a whole day staring at it.